What would an international consumer electronics show be without miles and miles of branded headphone displays? Last week, the 2014 International CES impressed trend watchers with a huge array of headphones and earphones, ranging from esoteric designer numbers to practical and clever innovations. Monster went high concept at its CES stand, dress up models in haute couture to show off the design elements of its headphones, and bringing out a troupe of breakdancing kids for some street cred. Ultra geometric and just a little bit ’80s (who said sharp angles weren’t comfortable on the ears?) 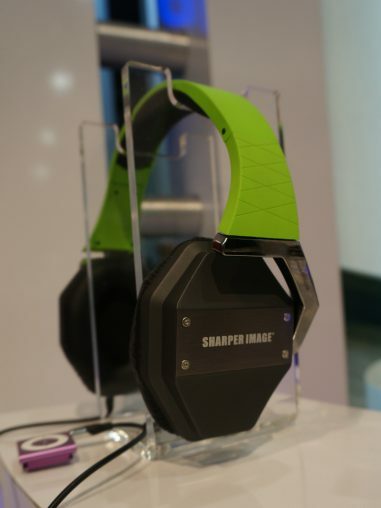 these headphones matched Sharper Image’s range of equally angular wireless speakers. 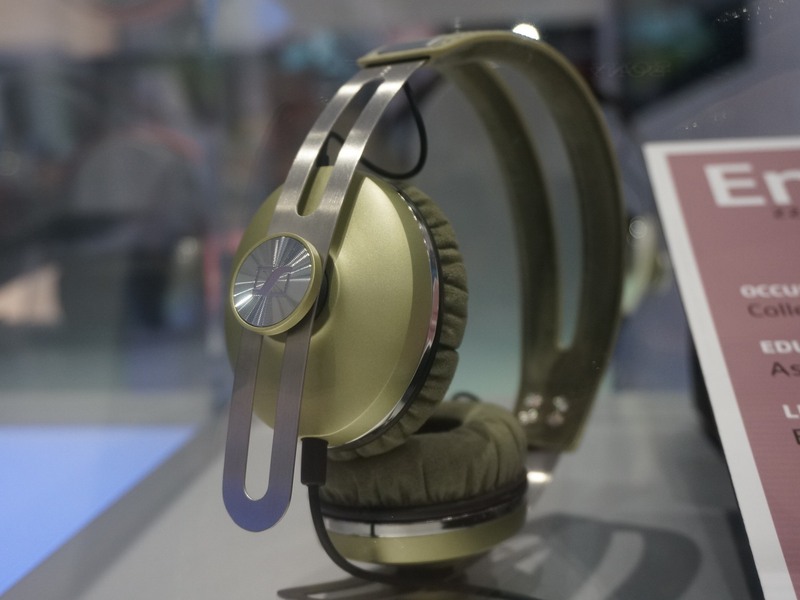 Designed in association with Microsoft for Xbox gameplay, these Polk headphones promise “totally immersive audio”. 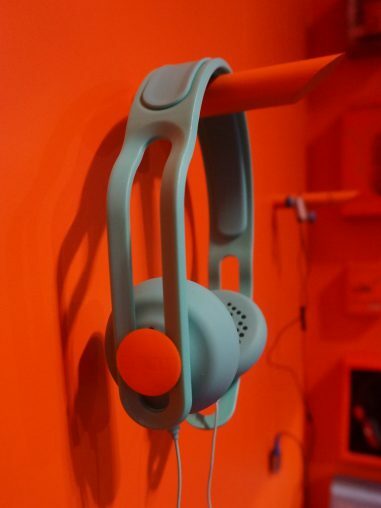 The “virtually unbreakable” Boom Swap headphones allow users to swap colours on different sections of the headphones for complete customisation. 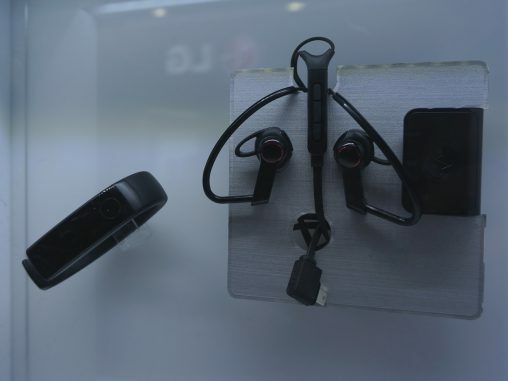 LG’s Heart Rate Earphones measure the user’s heart rate during a work out, and are designed to work in conjunction with the brand’s Lifeband Touch smart fitness wristband. 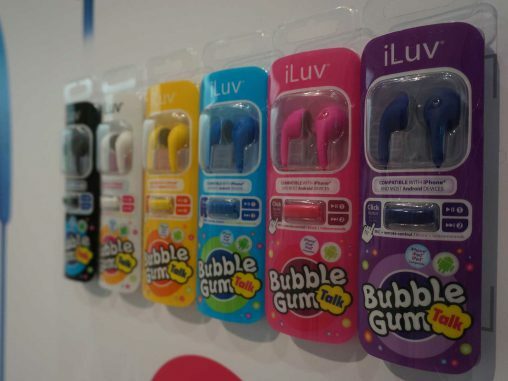 In a completely frivolous vein, these iLuv Bubble Gum Talk earphones are clearly marketed towards a certain demographic. 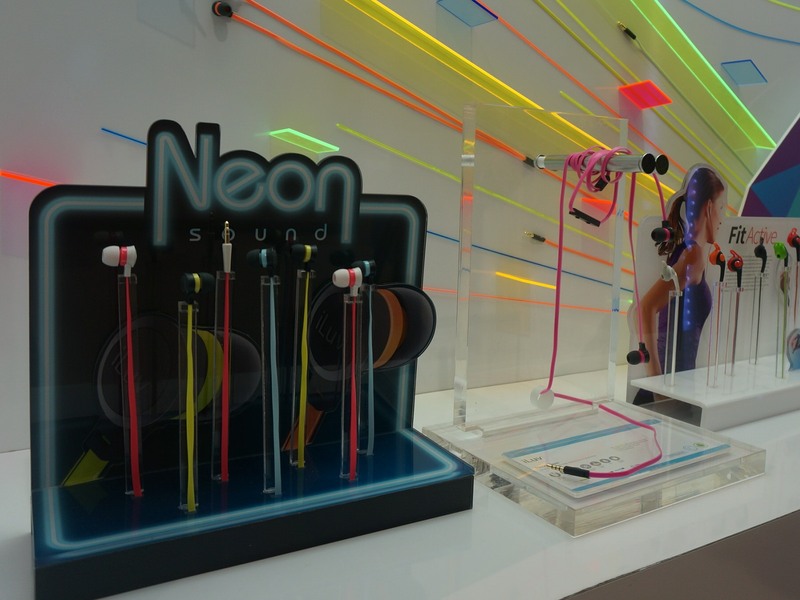 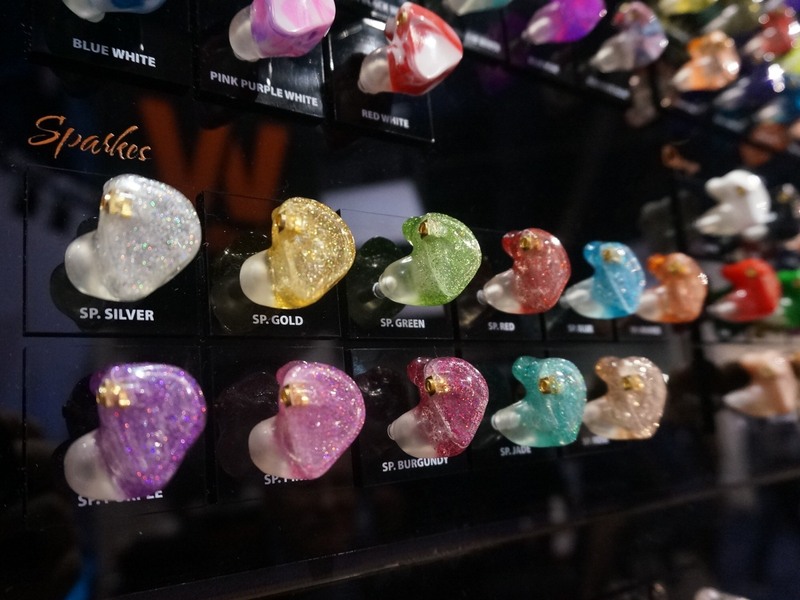 Also from iLuv, the Neon Sound earphones had a vivid display at CES. 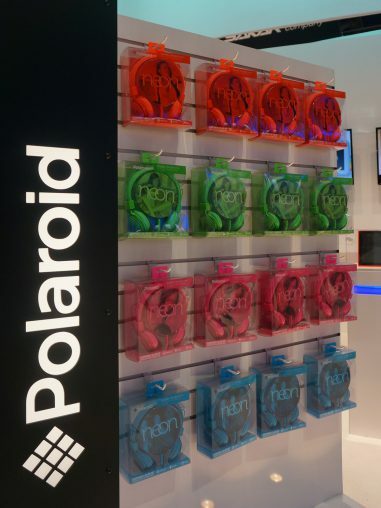 Also jumping on the coloured trend, Polaroid showed off an extensive range of audio accessories at CES, including these Neon headphones. 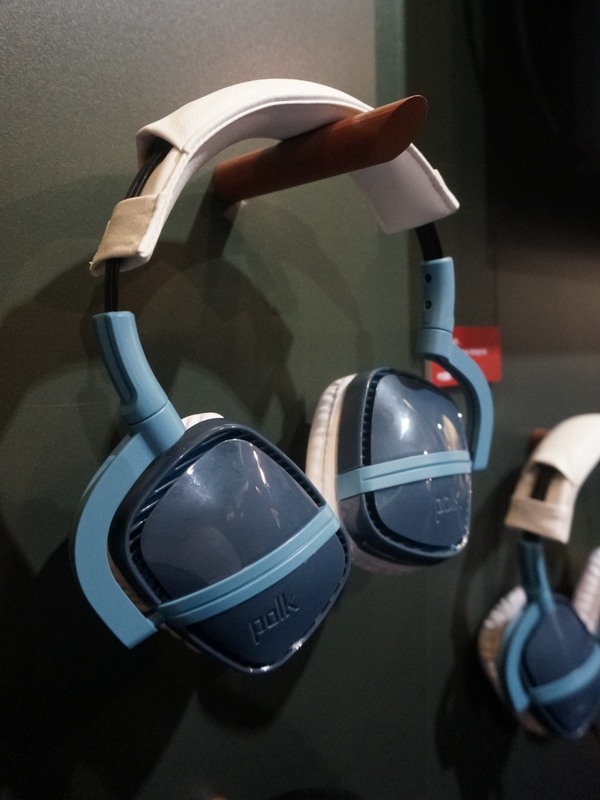 For consumers that want colour without the eye strain, Sennheiser had a range of cool muted tones on show with its Momentum On-Ear range. Designed for professional musicians and endorsed by Grammy winner Peter Frampton, Westone produces a range of customised in-ear earphones, available in any number of colours giving users the true Art of Control. 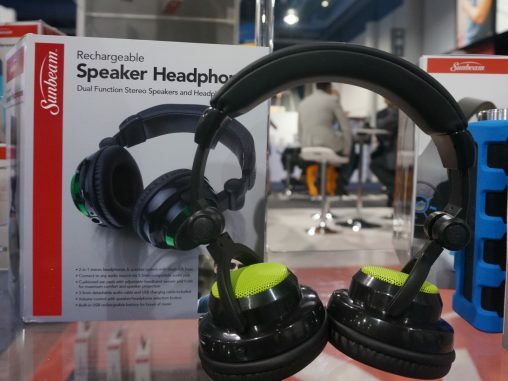 Perhaps the strangest of the CES bunch (to Australian eyes at least), these Rechargeable Speaker Headphones work as traditional headphones or as speakers, and they’re branded with local appliance name Sunbeam, which is licensed as a CE brand in the United States.